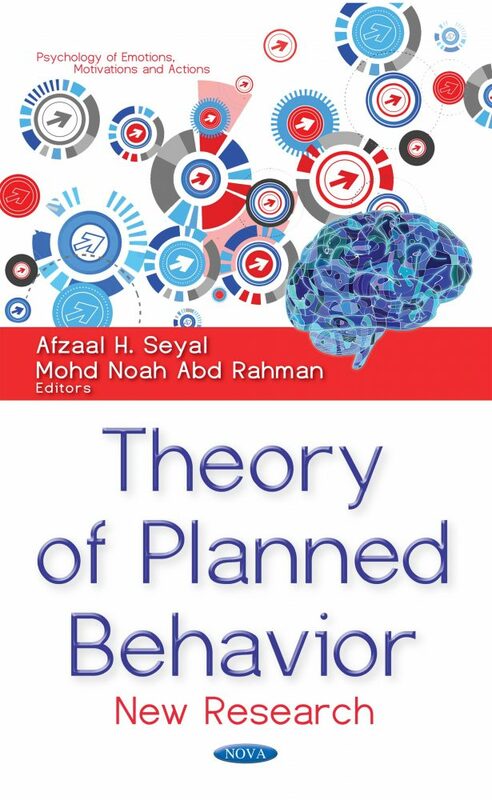 The Theory of Planned Behavior: New Research is an edited and scholarly work of nineteen researchers from seven countries of the world, originating from Southeast Asian countries to Pakistan, Australia and Italy. The work is compiled into nine chapters that illustrate the 2016 trends in using TPB. This edited version is a practical guide both for young researchers and experienced professionals, and is compiled in a simple journal style of research papers, which will be very useful for the young researchers who find difficulty in organizing, analyzing and discussing their results in the early stages of their careers. Readers can read it chapter by chapter, by tips and tricks and bit by bit when they are engaged in the process of writing a research paper; all chapters require a lot of references and literary hunting. Whichever application they take, they will feel energized with a wealth of knowledge and will further experience a new wave of self-confidence among themselves by finding a book like this.